Did you know that if you have osteoporosis, you may be losing bone mass in ways you never even thought about? You are losing calcium every day through your skin, nails, hair, sweat, and urine. The acid in the body is drawing alkaline minerals from your bones. Yikes! Most people do not realize how big a role pH plays as a contributing factor to the development of osteoporosis. The Problem: Most of the food that we eat is acidic. This acid is stored in the body, and your body has to work hard to neutralize the acid. It draws alkaline minerals such as magnesium, sodium, and calcium from the bones to help restore a neutral pH in the body. This process contributes to a loss of calcium in your bones. Osteoporosis Prevention Is The Key! Follow these steps to get stronger and healthier bones. Drink ionized, alkaline water. This helps keep your body alkaline and may help calcium and other minerals stay in your bones where they belong. Plus, ionized water is full of beneficial minerals, so it also helps replenish the minerals you are losing through your skin nails, hair, sweat and urine. So, drink continually throughout the day. Exercise every day. Help keep your bones strong by exercising for at least 30 minutes daily. 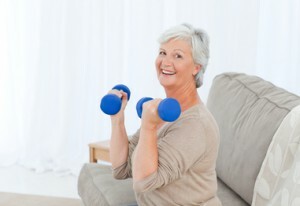 Be sure to do both weight-bearing exercises like walking and strength-training exercises like lifting small weights. Get enough calcium and vitamin D. Eating food that is high in calcium is the best way for your body to get this mineral. Food that is high in calcium includes milk, cheese, yogurt, broccoli, almonds and orange juice that is fortified. Most people are deficient in vitamin D. Vitamin D helps your body absorb calcium, so it is a good idea to take a vitamin D supplement. Take supplements with ionized water for best results. Ionized water is micro-clustered, which means that it is broken down into smaller water molecules and is better absorbed by the body. Taking your supplements with ionized water helps your body absorb them more readily. Be sure to check with your doctor first before starting any exercise program or taking any vitamin supplements.